Mount Washington Secure Locksmith - "Mount Washington Secure Locksmith hopes that you will give us the opportunity to impress you." "To provide you with a better idea of how skilled and well-rounded we are, here are some of the trusted brands that we work with: Arrow, ASSA, Yale, Kwikset, Falcon, Ilco, Baldwin, Kaba, Schlage, Medeco and Mul-T-Lock. We have also listed just some of our services below. " 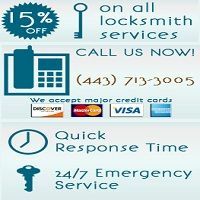 "If you find that you need the help of a team of professionals that know exactly why so many of our experts choose Lutherville Timonium Locksmith? Then contact Lutherville Timonium Locksmith today!"